Show your Cavaliers' pride with a Blakeway Panoramas championship print. 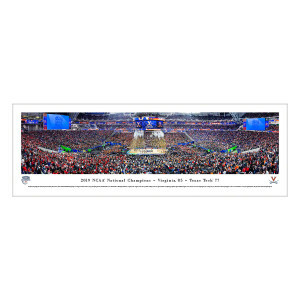 These large panoramic prints uniquely capture the celebration at US Bank Stadium after the Hoos won the 2019 NCAA National Basketball Championship. Thanks to their state-of-the-art digital cameras, the exceptional high definition quality of Blakeway Panoramas original photography is so sharp and clear, you will feel like you were there. Unlike standard posters, the panorama is printed on pH neutral heavy art stock and treated with a UV resistant coating to maximize the longevity of the print and minimize fading. This high quality, wide format panoramic print is sure to be the show stopper in your fan cave or make the perfect gift for Cavaliers fans. 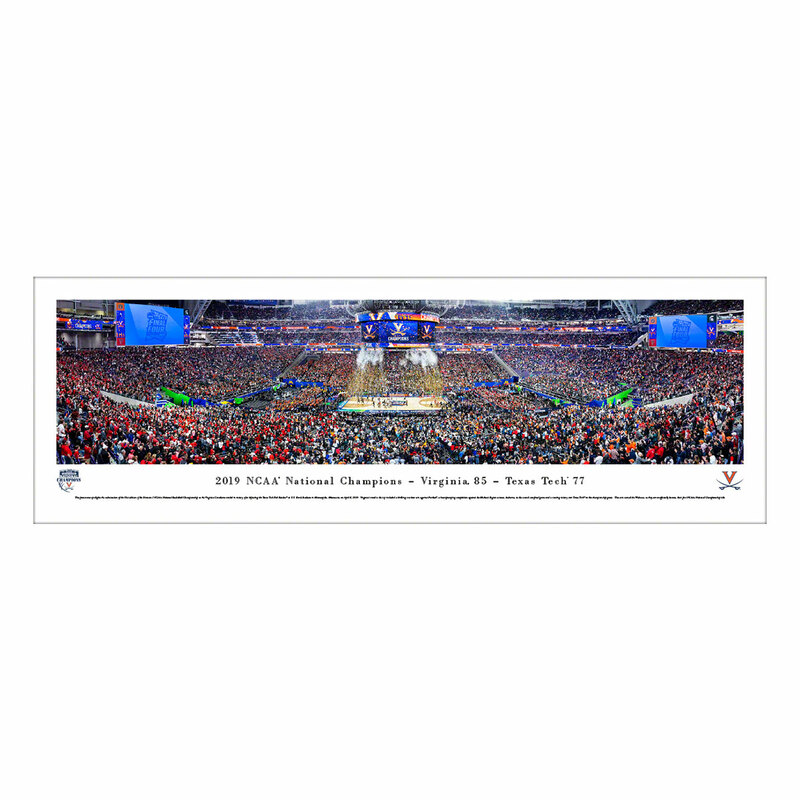 Text under score reads: This panorama spotlights the culmination of the 81st edition of the Division I NCAA® National Basketball Championship as the Virginia Cavaliers® reveled in victory after defeating the Texas Tech Red Raiders™ at U.S. Bank Stadium in Minneapolis, Minnesota, on April 8, 2019. Virginia’s road to the top included a thrilling overtime win against Purdue™, a heart-pumping competition against the Midwest Region winner, Auburn®, in the second semifinal game and a riveting victory over Texas Tech™ in the championship game. This win earned the Wahoos®, as they are unofficially known, their first NCAA® National Championship. • Amazing high definition photography is printed on pH neutral heavy art stock and treated with a UV coating to minimize fading. • Oversized 40 inches wide x 13.5 inches tall panoramic print. • Officially licensed and made in the USA of original photography.